Have you ever wondered what happens to your rubbish after its collected from your black bin? 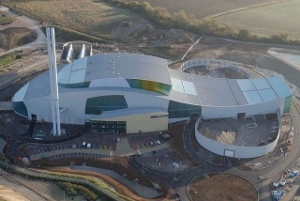 Vale of White Horse residents are invited to Ardley ERF find out how your waste creates enough energy for 38,000 homes. The 12th April visit is fully booked and another is planned for Tuesday 7 June 2016 at 10am – 12pm. Please email Alexandra.Pyle@southandvale.gov.uk or call 01235 540566 to book a space or reserve a spot when more dates become available. Please forward on the details to anyone that maybe interested in coming along.